If a board game doesn't have this, it's guaranteed to fail. Can you guess what it is? So there I am with a single life point and Brad the Sheriff is sitting three seats away. Normally I’d be safe, but he’s playing as Rose Doolan, which means he gets extra range and can shoot me if he rolls a Bull’s Eye 2. I’m pleading to Brad that I’m a Deputy, but Chad is trying to convince him that he’s the Deputy. Brad takes Chad’s word over mine, rolls a Bull’s Eye 2, and pops me. But he forgot that I’m playing as Bart Cassidy, so I take an Arrow instead of losing a life point. Ha! Brad’s over there with his face in his palm and I breathe a sigh of relief because I survived, at least for now. It comes to my turn and I roll my dice… three Dynamites!!! I blow up. Lose my last life point. I’m friggin’ dead. I was the last Outlaw in the game, so Brad the Sheriff and Chad the Deputy win. All great board games deliver an emotional experience. Of course, the nature of the emotion being delivered can differ from game to game. In Bang: The Dice Game, it’s the satisfaction of picking out the right targets, the rush when you make a risky dice roll decision that pays off, and the fun of bluffing your identity. In a game like Pandemic, it’s the relief that comes from surviving on the brink of death, or the crushing reveal of that one final Epidemic that snatches victory away from you. In a game like Telestrations, it’s the side-splitting laughter that comes when an ambiguous drawing is interpreted in the most backwards way—then continues to be misinterpreted down the line. In a game like Sherlock Holmes Consulting Detective, it’s the feeling of being immersed in an interactive narrative as it unfolds before you. You get to feel like a detective, and there’s a vicarious delight that comes from that. Sure, there’s something to be said about new gameplay mechanics you’ve never seen before, or high-quality art and components that are pleasing to the sight and touch, or a theme that resonates with you on a surprisingly deep level. But aren’t all of these emotional experiences as well? In fact, the same kinds of emotional experiences that come from figuring out a puzzle, or appreciating art, or being caught up in fiction! 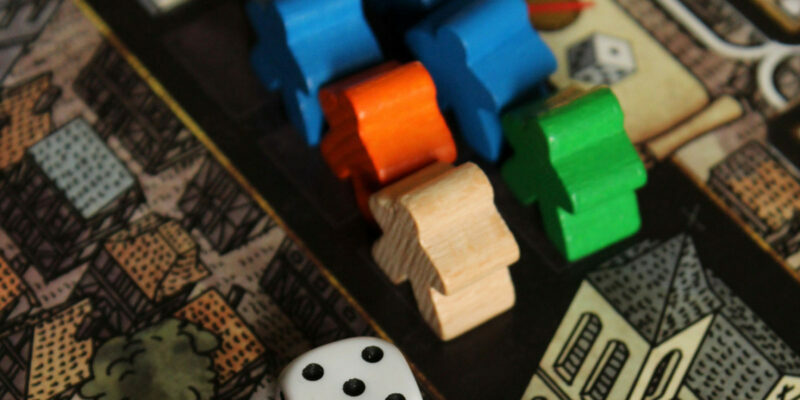 In many ways, the thing that drives the success of a best-selling novel is the same drive behind the next board game hit: an emotional experience. When I think about the board games that bore me to tears, or even the ones that I used to enjoy but have grown cold, it’s because they don’t have that emotional spark anymore. Some people have different names for this emotional spark—“fun,” “interesting,” “thrilling,” “compelling.” But I believe they all point to the ability of a game to stir up some kind of emotion in its players, and I believe that this is the core of a “replayable” game: a set of mechanics and components that can repeatedly deliver the emotional experience that the game was designed for. It’s the same reason why Taboo is fun for a while but eventually loses its charm. Once you know all the cards and once you’ve figured out what to say to nail each card, it loses its luster. Until you play it with a brand new group, which comes with its own fresh meta, and you might find that Taboo is interesting again. So what’s the point in my writing all of this up? What’s the most emotional experience you’ve had while playing a board game? Which emotional experiences do you enjoy the most in your board games? Let me know in the comments below!